If you have suffered injuries and financial damage in an automobile accident caused by the careless or reckless driving of another motorist, you shouldn’t have to worry about your medical bills and lost wages. 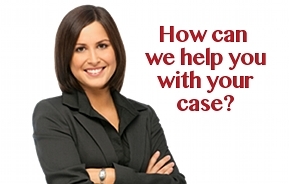 The law entitles you to compensation, and our experienced Florida car accident lawyers will fight for your rights. Complete our online free consultation form or call toll free (888) 252-0048 for a free consultation. Our Florida auto accident attorneys serve clients across Florida, including Naples, Fort Myers, Cape Coral, Marco Island, Lee County, Collier County, Everglades City, Golden Gate, Immokalee, Bonita Springs and Sanibel. If you’ve been in a Florida car accident, you’re not alone. Florida accident statistics show that in 2008, there were approximately 227,559 automobile accidents in Florida, resulting in 149,600 injuries and 2,106 deaths. Many people have injuries that leave them disabled and unable to work at the very moment that they have mounting medical bills. In the very worst cases, families lose a loved one. If you think we can help you recover from your serious injuries or serious loss, please do not hesitate to call our firm for a free accident injury consultation toll free at (888) 252-0048. This entry was posted in Car Accidents and tagged auto accidents, car accidents, motor vehicle accidents on January 13, 2011 by admin. Driver error. Driver error and poor decision-making are the most common factors in car crashes. 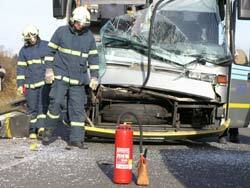 A fifth of all fatal accidents and nearly 40 percent of accidents resulting in injuries involve careless driving. Besides careless driving, other contributing causes to accidents include failure to yield right-of-way, improper lane changing, driving under the influence of alcohol or drugs, following too closely, speeding, improper passing, fatigue and disregarding traffic signals and stop signs. Distracted drivers — those talking on their cells phone or texting—are an increasing cause of accidents. Car defects. There can be multiple contributing causes to an accident, and not all crashes are the fault of the driver. Defects in the vehicle can also cause accidents. In some cases, injuries suffered in an accident can be made worse by a manufacturer’s design, such as one that makes a vehicle less stable and more prone to rollover. According to the National Highway Traffic Safety Administration, more than 280,000 rollover accidents are reported each year, claiming more than 10,000 lives annually. Sport utility vehicles are especially prone to this kind of accident. Poor road maintenance or design. A poorly designed or maintained roadway or intersection also can cause an accident. Improperly placed traffic signs and signals can lead to unnecessary injury when motorists collide with them. 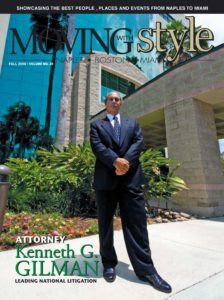 In some cases, flawed designs or poorly maintained roadways will make the governmental agency responsible for the design or roadway maintenance legally liable for the injuries sustained in the accident. 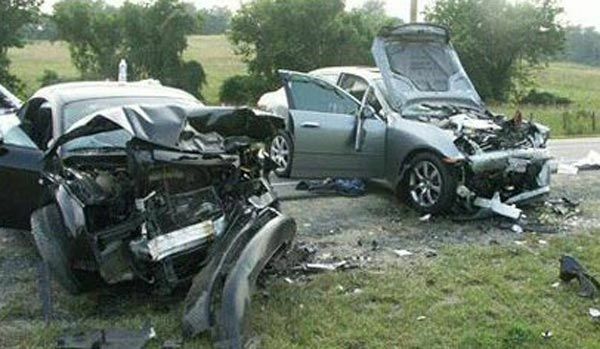 Our Florida car accident lawyers have successfully represented victims of poor road design. 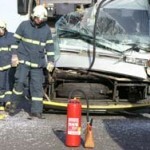 This entry was posted in Car Accidents and tagged accidents, car, car accidents, Florida on January 13, 2011 by admin. If you’ve been injured in a car accident, you know how your life has been disrupted. You may be losing income because you cannot work, and in extreme situations you may have a disability that will last a lifetime. You have prescription drug expenses and hospital or doctor bills. You want to be free of these financial concerns so you can focus on healing and recovery. A fair settlement will enable a car accident victim to maintain a good quality of life and look after their family. How do you achieve that settlement? If you’ve been injured by another driver’s negligence, you are entitled to compensation from his or her insurance company. In many cases, there will not be enough coverage for all of your injuries, and you may be entitled to money from your own insurance company. But insurance laws and regulations, particularly those involving Florida No Fault benefits, can be challenging to understand — and reimbursement of expenses can be difficult to obtain. Also, Florida’s traffic laws are governed by a principle called “comparative negligence.” That reduces the amount of compensation you receive if you are found responsible for any portion of the accident. The lawyers at Gilman Law LLP understand those laws and work tirelessly to minimize their impact on our clients, ensuring they receive a full and fair settlement. If you’ve been in a Florida car accident, please note there are specific time limitations on filing a legal action to recover for your injuries. It’s important to act promptly. Also note that special rules govern the liability of government agencies involved in car accidents. For instance, special notices must be filed against the government unit responsible for your injury — and within a certain time period before filing a lawsuit. A missed deadline or a mistake in filing could mean that you forever lose your right to recover damages for your injuries. Given Florida’s complex laws and deadlines, it’s in your best interests to hire an experienced Florida car accident lawyer to represent you. Our Florida car accident lawyers have helped hundreds of victims and their families rebuild their lives after a motor vehicle crash. If you or someone you love has been injured in a Florida car accident, you have valuable legal rights. Gilman Law LLP can help you protect them. Please fill out our online form, or call 1-800-LAW-INFO (1-800-529-4636) to discuss your case with one of the experienced auto accident lawyers at our firm.